Learn time-tested, natural and organic remedies to get rid of fire ants FAST and save BIG money doing it yourself!. Accidentally introduced from South America in the early 1900’s, red imported fire ants are currently found in 13 Southern states and Puerto Rico. They are well-known for their venomous sting and will aggressively attack anything that disturbs their mound. Fire ants can sting repeatedly and cause medical and agricultural problems to people, pets, livestock and wildlife. They will also wreak havoc on local ecosystems. Studies show that populations of ground nesting animals (song birds, snakes, rodents, toads and lizards) are reduced by more than half shortly after their arrival. Imported fire ants (1/8 – 1/4 inch long) are reddish brown to black in color and look very much like ordinary ants. They are social insects and build mounds of loose soil, resembling gopher diggings, rarely larger than 18 inches in diameter. Mounds are often numerous and can quickly spread over an entire yard. Each mound may contain up to 300,000 ants. 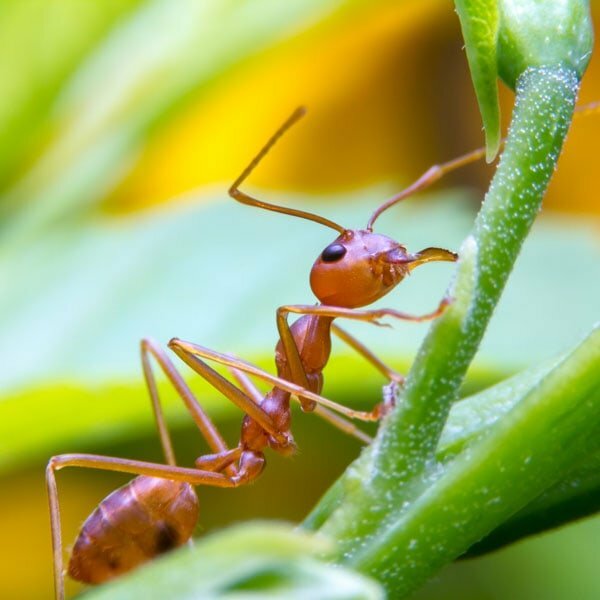 Note: Fire ants are attracted to electricity and have been known to damage air conditioners, heat pumps, transformers and more. Fire ants are social insects and live in colonies with three distinct types of adults, called castes. Queens are larger than other ants and are responsible for egg laying. Some colonies have only one queen, whereas others have many. Males are responsible for mating with the queens; they do not participate in any other activities. Workers are sterile wingless females. They make up the bulk of the colony and are responsible for building and defending the nest, caring for the young and foraging for food. During the spring and summer, winged males and females leave the mound and mate in the air. Fertilized females (queens) shed their wings, burrow into the ground and lay eggs to begin a new colony. After about 30 days, the eggs hatch into “maggot-like” larvae. These are cared for by the queen until they pupate approximately 1-2 months later. Within three weeks, the pupae transform into adult “worker” ants which begin collecting food for themselves, the queen and for future generations of larvae. In the late fall, numerous small colonies appear, many of which will not survive the winter unless the weather is mild. Pouring hot or soapy water over the mound is an effective home remedy, but you will rarely kill the queen. In most cases, the colony will just relocate. 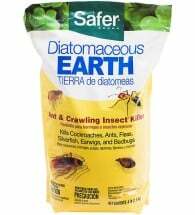 According to the University of Florida Extension, organic diatomaceous earth will eliminate individual ants, but its effectiveness to kill the entire colony is questionable. 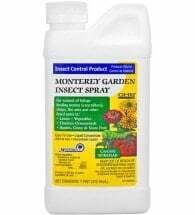 Using a sprinkler can, mix 2 oz Monterey Garden Insect Spray (spinosad) per gallon of water, and apply to individual mounds as a drench. Use about 10% of prepared solution around the perimeter of the mound and the remainder directly over the mound. Apply slowly, like a gentle rain — do NOT disturb the colony. For best results, apply when the weather is cool or in early morning or evening. 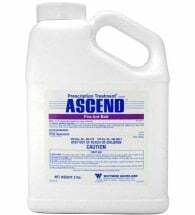 Labeled for use in and around homes, Ascend contains a naturally occurring soil fungus — Abamectin — that will eliminate problem colonies and prevent queen egg production. Broadcast after dew or rainfall at a rate of 1 lb per acre (2lb container treats 36 mounds). 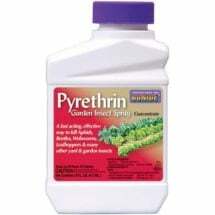 Least-toxic botanical insecticides, containing liquid pyrethrin, can be used to drench the mound, but should be used only as a last resort. Derived from plants, these natural pesticides have fewer harmful side effects than synthetic chemicals and break down more quickly in the environment. Note: Fire ant baits are attractive to workers who take it back to the mound, and feed it to the entire colony including the queen. This leads to the decline and eventual elimination of the colony. Extremely large mounds may require a repeat application. Tip: Apply baits when ants are active (above 60°F). The best time to apply is in the morning and late evening when foraging is at its peak.